Cartoon of the Day by Chandan Kumar: Honest? Self-made? Intelligent? 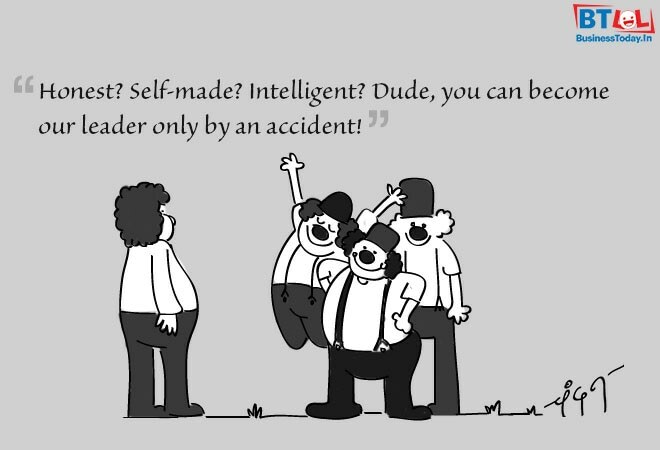 Dude, you can become our leader only by an accident!